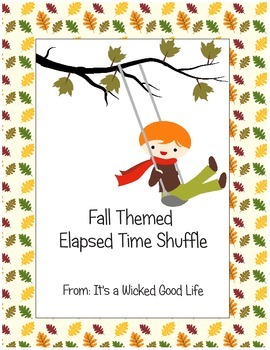 These fall themed cards were created for use in a center or as part of a station "shuffle". 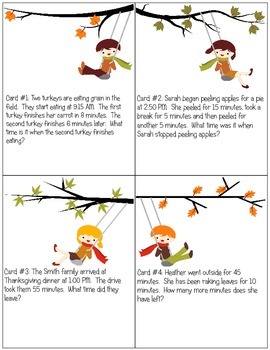 For the center students can draw a card and then figure out the answer and write it on the provided record sheet. 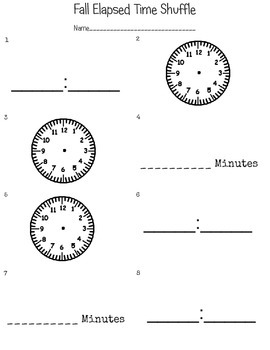 station/desk) and set a timer for 30 seconds to 1 minute. 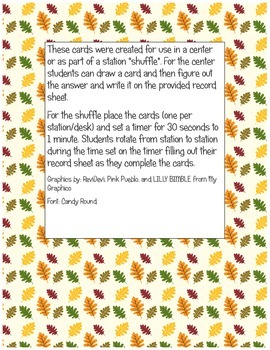 Students rotate from station to station during the time set on the timer filling out their record sheet as they complete the cards.